Hi! It's Jilly. 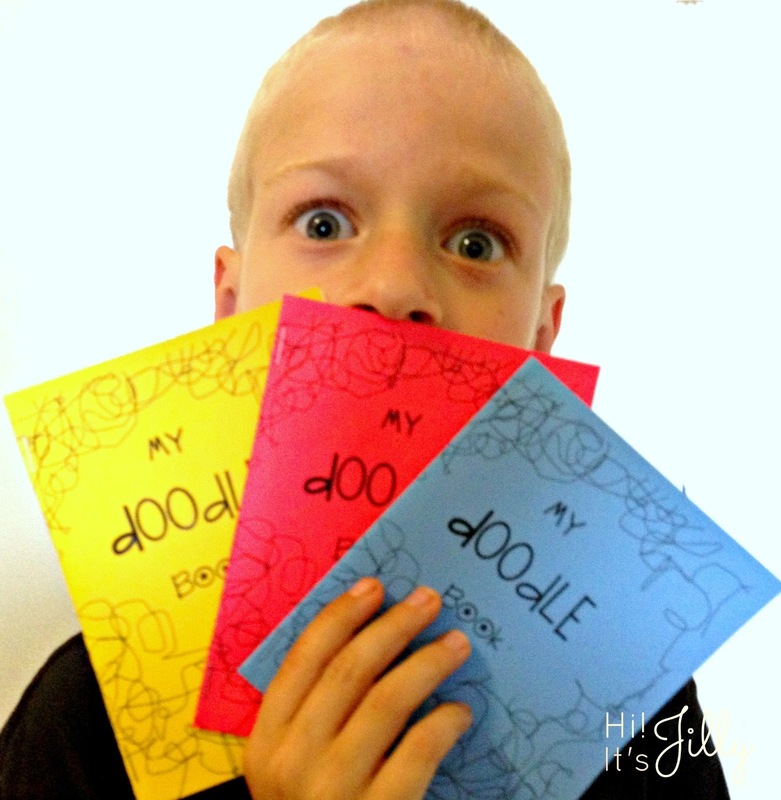 : DIY Doodle Book with FREE Printable! 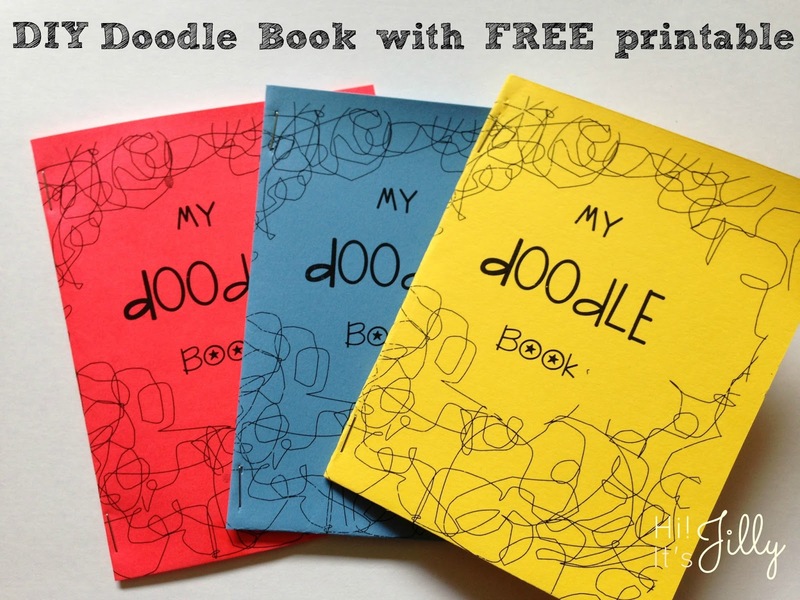 DIY Doodle Book with FREE Printable! Hi! It's Jilly. A couple weeks ago my son was bored during church. Ok, that happens pretty much every Sunday. Who am I kidding? ANYway, to help entertain him I started drawing random shapes on a piece of paper and told him to "complete" the picture. He loved it! So, I thought it would be cool to make a little book full of doodles for him and his sisters. And, I've already done the bulk of the work for you. All you have to do is print everything out! Woot! 1) Print out the doodle book pages, double-sided, on regular printer paper. Cut the pages in half width-wise, so your book will be half as tall as a normal sheet of paper. 2) Print out the cover page on colorful paper. You can use cardstock if you'd like it to be more sturdy, but it will be harder work for your stapler. Cut in half. 3) Fold the book pages and cover page in half. Line them up and trim if needed. 4) Staple near the bottom and top of the left hand side, as close to the fold as you can. All done! That was easy, right?! Your kids will love them! Printables are for personal-use only. But, feel free to use them as much as you want!